Oh this little guy was just the sweetest! Ethan was not shy at all and was giving me his little flirt face during his session! It was so precious that I just had to share a sneak peek of that little face. I mean really, the tucked chin and those sly little eyes?! How could you resist that?! 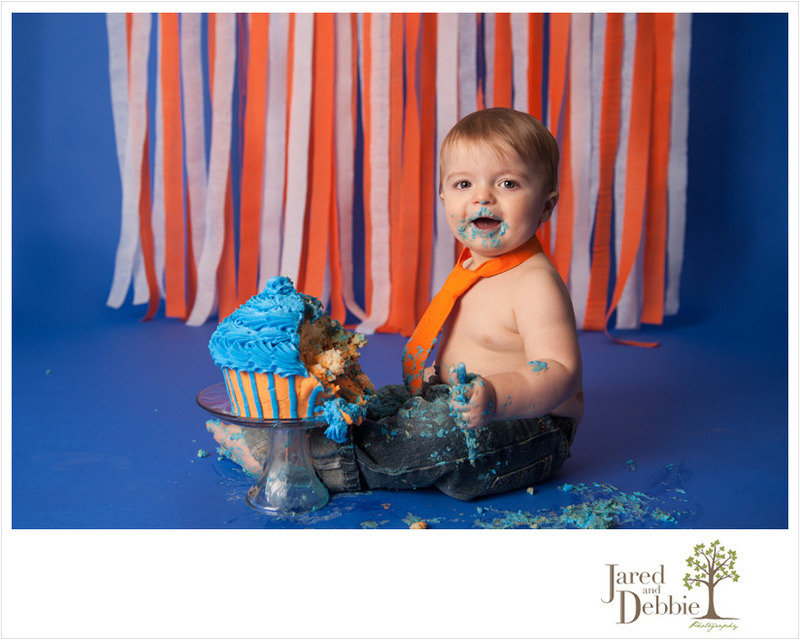 Here’s just a peek at this cutie and the fun that he had during his Cake Smash Session! Stay tuned for more images from Ethan’s First Birthday Session!